Raymond's Bowl will be the host of the 15th. Annual Senior 9-Pin No-Tap Handicap Tournament Sunday, January 27, 2019, at 1:00 pm. The Early -Bird Entry into this event will be $18.00 for reserved entries paid for by January 24, 2019. 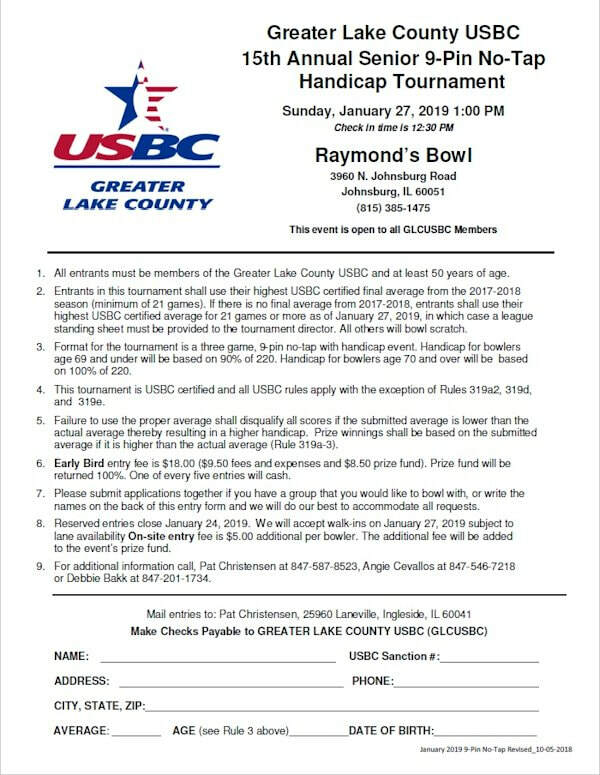 This event is open to all Greater Lake County USBC Men and Women over the age of 50. handicap for bowlers 69 and under will be 90% of 220, members 70 and over will be 100% of 200.